Book your experience of Heaven and Earth. The Story of Creation ~ 7 Chapter pairing. Beam me up Scotty! … but, please not yet !!! 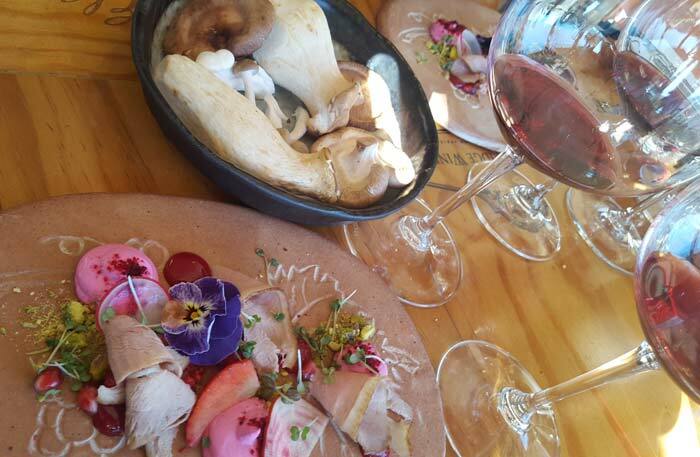 Please scroll (or read : ) to the bottom of the page to enter our competition to win a 7 Chapter Wine and Food Pairing for Two and/or a Valentines Chocolate pairing with a bottle of African Penguin Reserve Rosé. 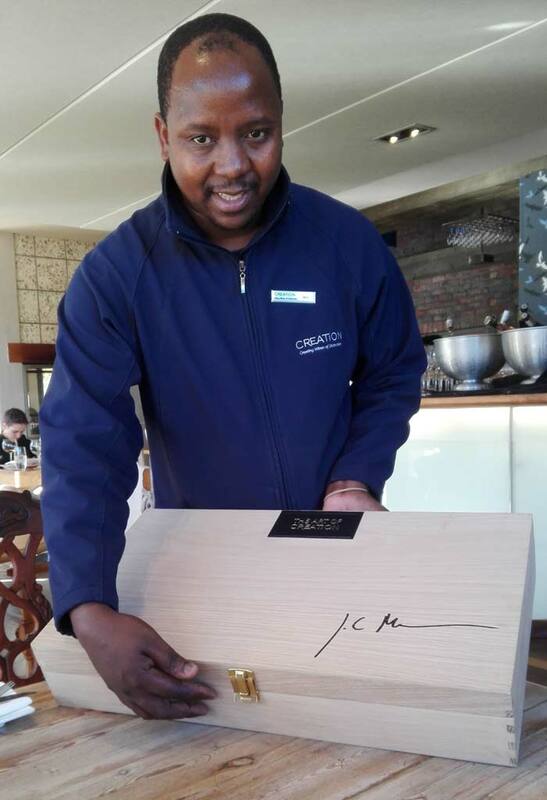 A highly recommended half-day sensory affair of a seven course small plate pairing with eight award winning wines! (for only R335!) Very filling – for as many senses as you are capable of being aware of. At times it definitely felt Spiritual! Also sort of subliminally Biblical, being Creation … and Seven … and all. We covered the Spirit and Sci-Fi above and will now endeavour to broach the subject of the *senses you will become oh so alluringly aware of during this tasting. Just a few basics before the drooling commences. *SENSORIUM: The parts of the brain or the mind concerned with the reception and interpretation of sensory stimuli, broadly the entire sensory apparatus. Sight (vision), hearing (audition), taste (gustation), smell (olfaction), and touch (somatosensation) are the five traditionally recognized senses. The ability to detect other stimuli beyond those governed by these most broadly recognized senses also exists, and these sensory modalities include temperature (thermoception), kinesthetic sense (proprioception), pain (nociception), balance (equilibrioception), vibration (mechanoreception), and various internal stimuli (e.g. the different chemoreceptors for detecting salt and carbon dioxide concentrations in the blood, or sense of hunger and sense of thirst). However, what constitutes a sense is a matter of some debate, leading to difficulties in defining what exactly a distinct sense is, and where the borders between responses to related stimuli lie. In South Africa especially (and maybe the USA) even Common Sense is a rare and highly sought after stumbling, but we are dealing with Creation here – like an alternate universe. Original, Distinctive Flavours. Exceptional, Harmonious Matches. The Story of Creation is a unique sensory experience. You might not even notice all the detail of co-creating, complimentary elements such as textures, colours, flavours, sounds and salivations that dance together to give you that deeply satisfying feeling of sweet surrender into a sea of pleased senses. The winter afternoon-light also added to the warm and gentle ambiance of beautiful people, all friendly, efficient, eager and proud to just be there to please you. Heavenly. I could live like that! And so it begins! 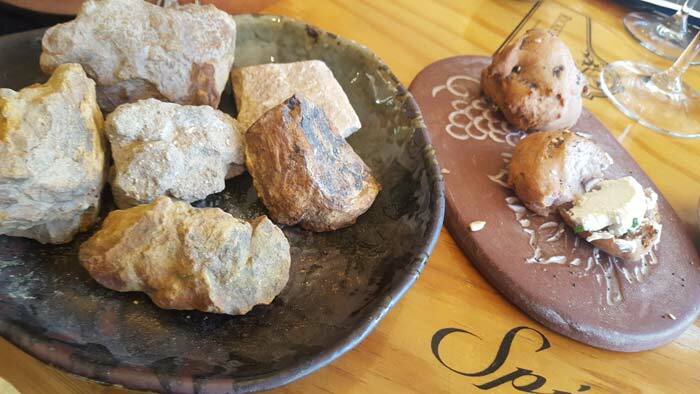 We were served delicious little buns simulating the rocks of the area. When establishing a farm one would come across lots of those so I thought this very appropriate. My mind immediately went to all the hard work that went into preparing the soil for the first vines. This set the mood to a deeply appreciative and humble foundation onto which the awe of what has been accomplished could be built. 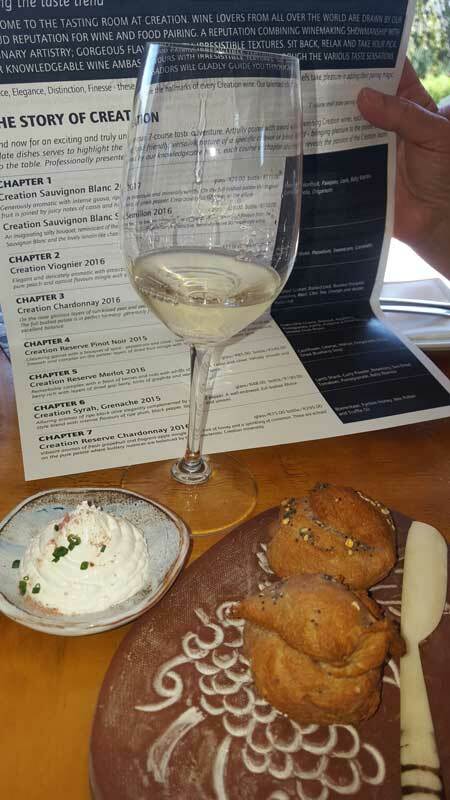 The bread is served with Goat Sour Cream with Pinot salt & chives and the first taste of the almost cheeky crisp Creation Sauvignon Blanc 2017 immediately sirened my Pavlovian sensory soldiers to wake up and rejoice! They sensed that good things were in stall for all of them. 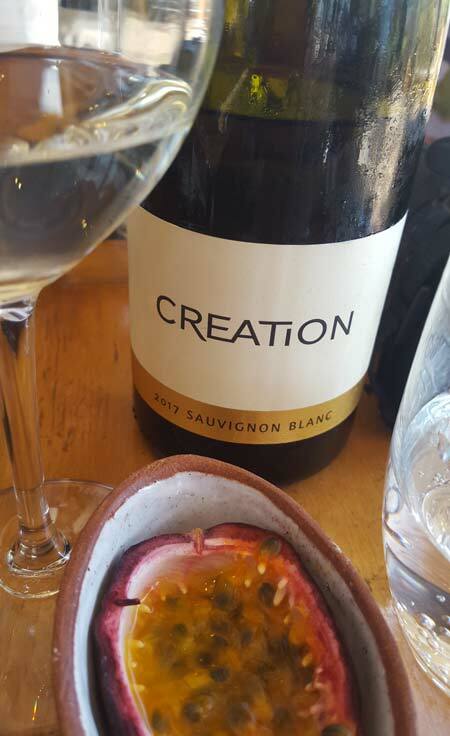 The Wine: Creation Sauvignon Blanc 2017 ~ Generously aromatic with intense guava, ripe pineapple and minerally whiffs. On the full-bodied palate the tropical fruit is joined by notes of cassis and hints of green pepper. Crisp acidity contributes to the allure. Paired with a delectable dish of fried leeks and a symbolic egg-simulating deliciousness that found its dance-partner on my tongue in the wine, and then pompously platzed on my most pleased primary taste bud. …and this was just the beginning! 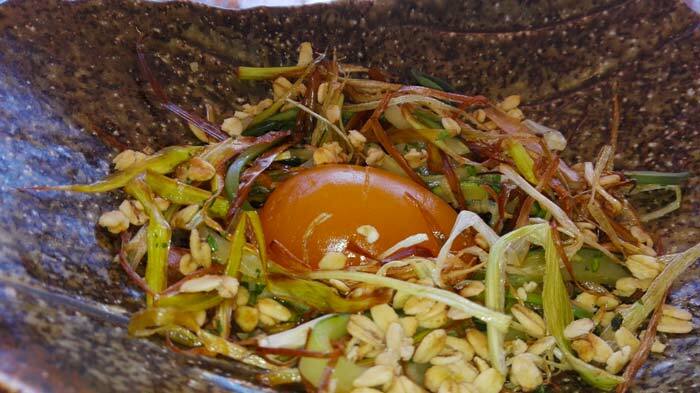 Elements: Passionfruit, Pawpaw, Leek, Baby Marrow, Granola, Origanum. Our delightful and warm-hearted host Leo Jeche, eagerly shared his deep interest, delight and passion for the Creation Story! 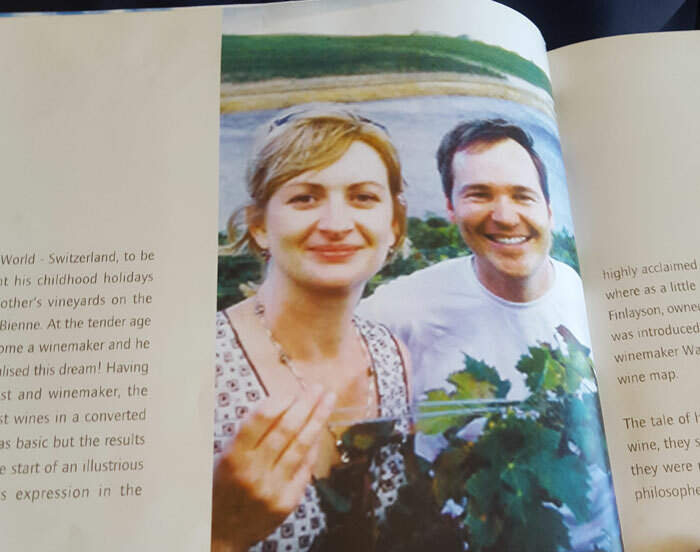 The Wine: Creation Viognier 2016 ~ Elegant and delicately aromatic with attractive notes of apricot, white peach and coconut . On the creamy palate pure peach and apricot flavours mingle with exciting minerality, beautifully balanced by tongue-tingling acidity. 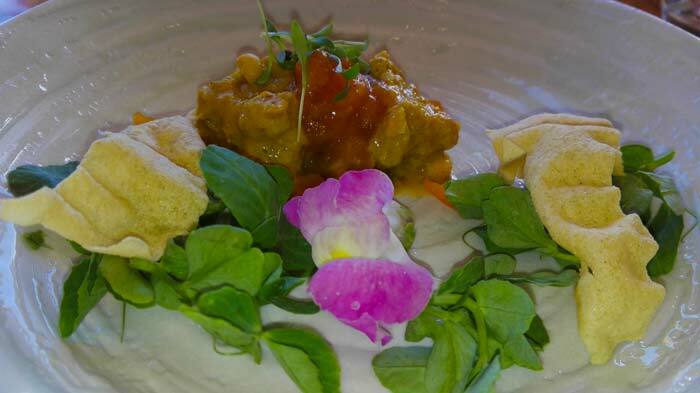 Elements: Pickled Hake, Papadum, Sweetcorn, Coriander, Apricot. 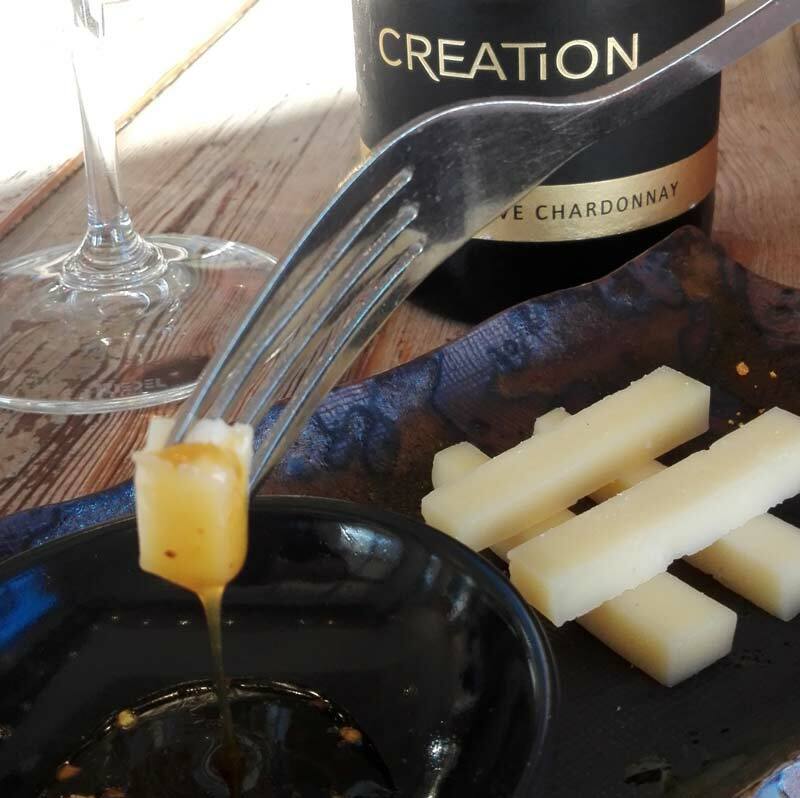 The Wine: Creation Chardonnay 2016 ~On the nose glorious layers of sun-kissed pear and peach are enhanced by fresh minerality and a hint of vanilla. The full-bodied palate is in perfect harmony; generously fruity and subtly spicy, with well-judged acidity contributing excellent balance. 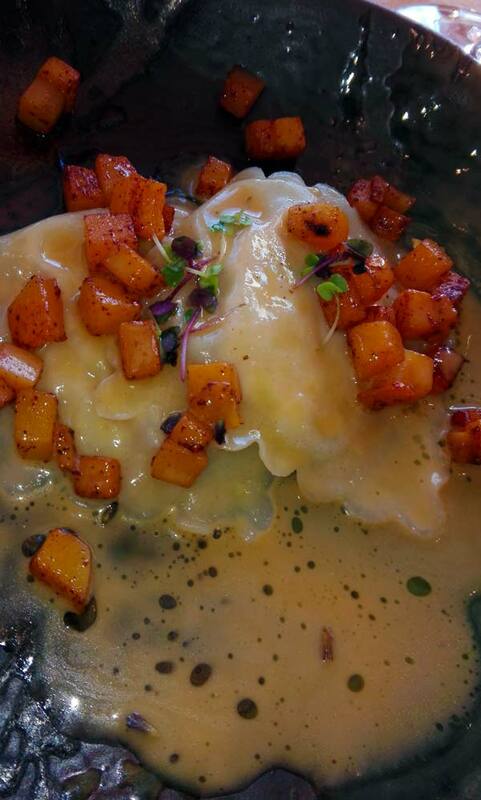 Elements: Smoked Salmon, Braised Leek, Toasted Pumpkin, Cinnamon, Basil, Chai Tea, Orange and butter reduction. 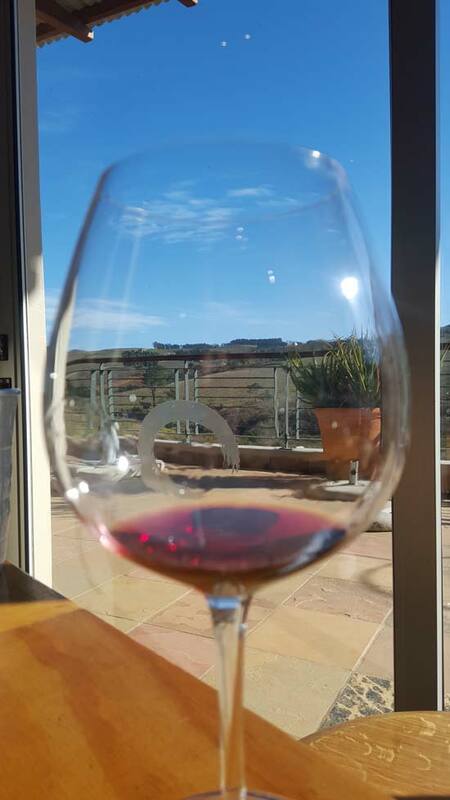 The Wine: Creation Reserve Pinot Noir 2015 ~Gleaming garnet with a bouquet of spice – peppercorn and clove – supplemented by a delicate whiff of dried apricot. 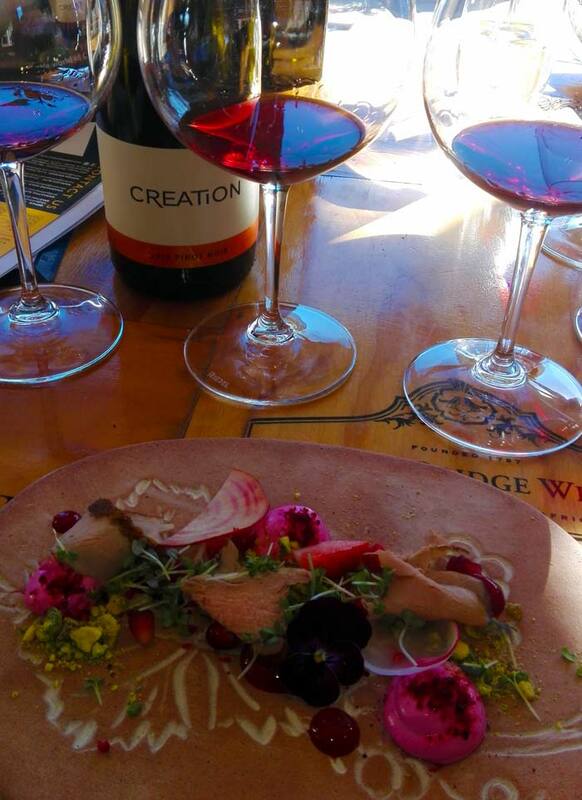 Smooth and complex on the palate: layers of dried fruit mingle with raspberry, cherry and piquant spice. 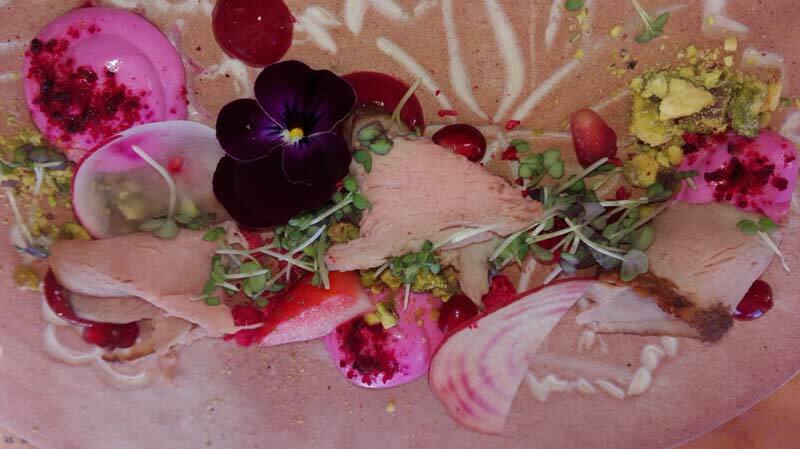 Elements: Goat’s-Milk Cheese, Beetroot, Raspberry Pomegranate, Radish, Pistachio & Pinot Noir Salt, smoked Duck Breast. 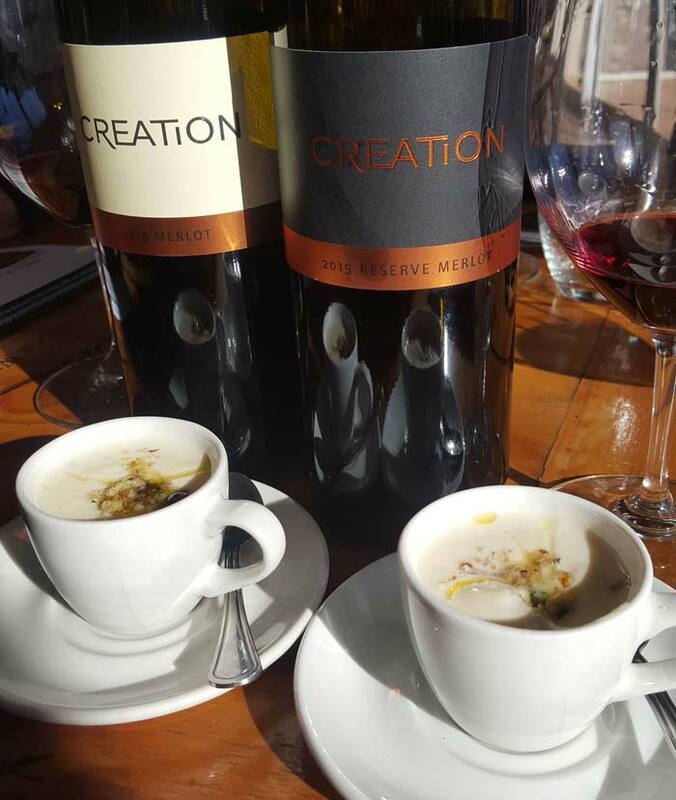 The Wine: Creation Reserve Merlot 2016 ~ Remarkably complex with a feast of berries and nuts with whiffs of cigar box, cedar and clove. Velvety smooth and berry-rich with layers of dried goji berry, hints of graphite and warm wood spice. 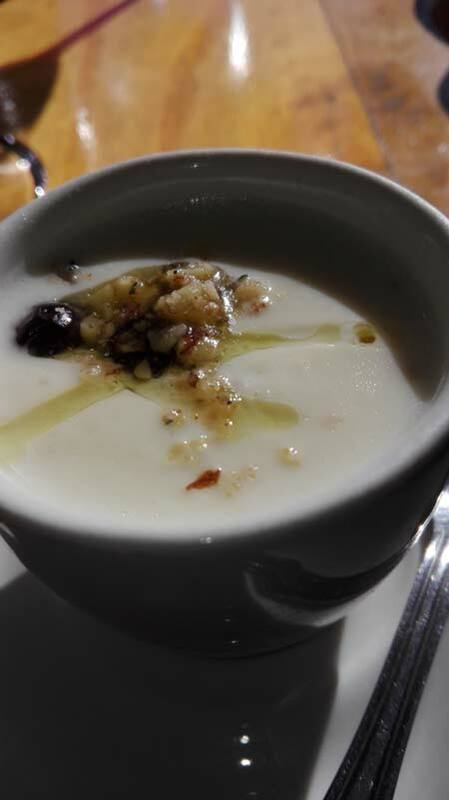 Elements: Cauliflower, Celeriac, Walnut, Gorgonzola, Onion, Dried Blueberry Soup. 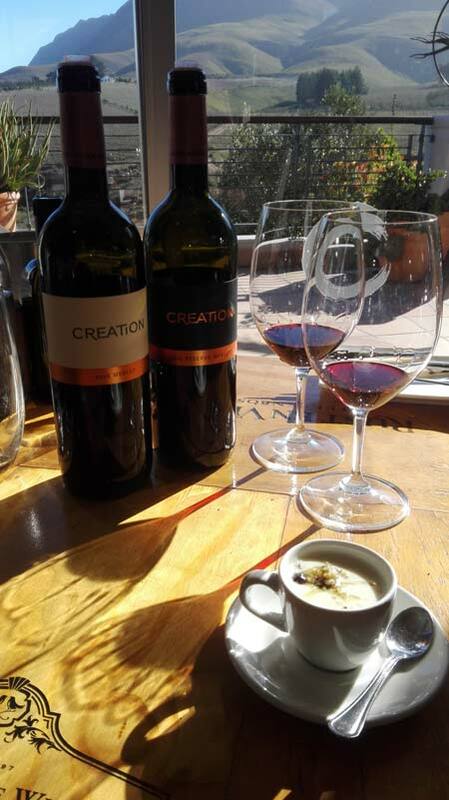 The Wine: Creation Syrah, Grenache 2015 ~ Alluring aromas of ripe black olive elegantly complemented by whiffs of pepper. A well-endowed, full-bodied Rhône-style blend with intense flavours of ripe plum, black pepper, tapanade and umami. 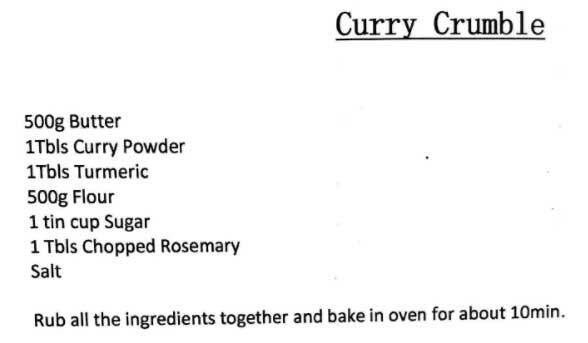 Elements: Lamb Shank, Curry Powder, Rosemary, Sun-Dried Tomatoes, Pomegranate, Baby Marrow. 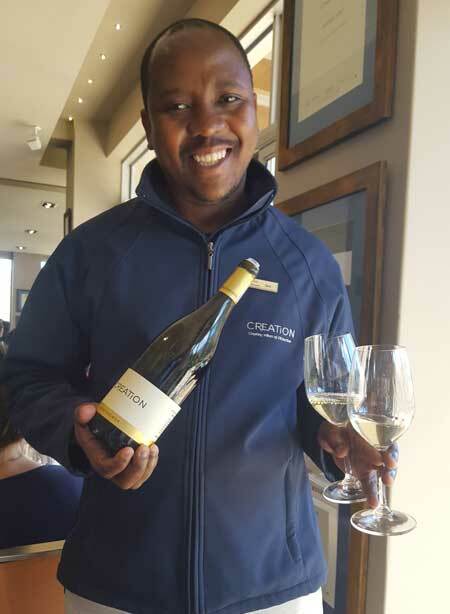 The Wine: Creation Reserve Chardonnay 2016 ~ Vibrant aromas of fresh grapefruit and fragrant apple mingle with a hint of honey and a sprinkling of cinnamon. These are echoed on the pure palate where buttery nuances are balanced by the characteristic Creation minerality. 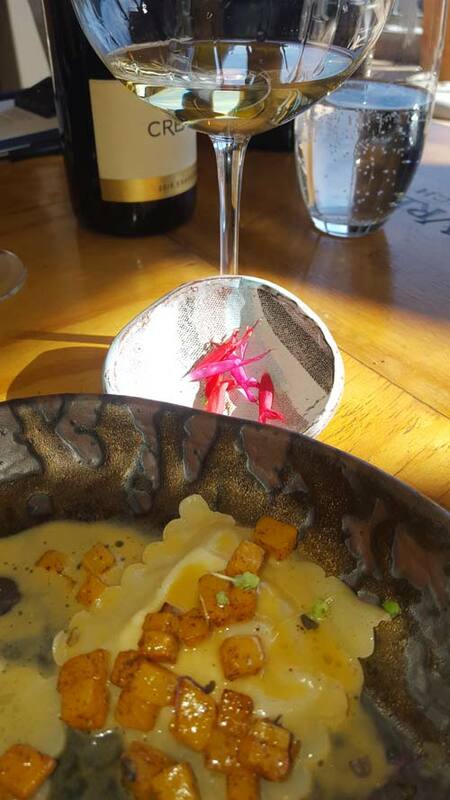 Elements: Boerenkaas, Fynbos Honey, Bee Pollen and Truffle Oil. All these stages of the story performed a perfect and tantalizing tango on my tongue and left me limp with drool and speechless pleasure. Everybody was very warmly suave and elegant but eventually they had to beg and cajole me to leave. I will be back! 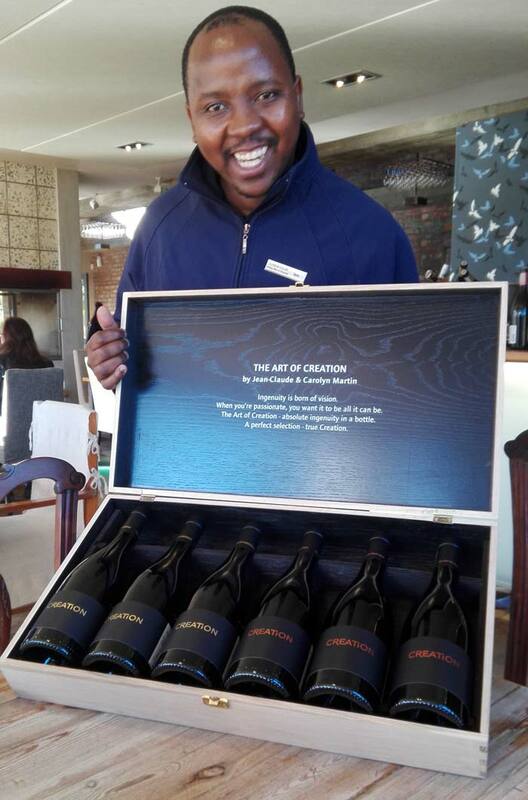 Our lovely host Leo Jeche proudly unveils the best gift ever. 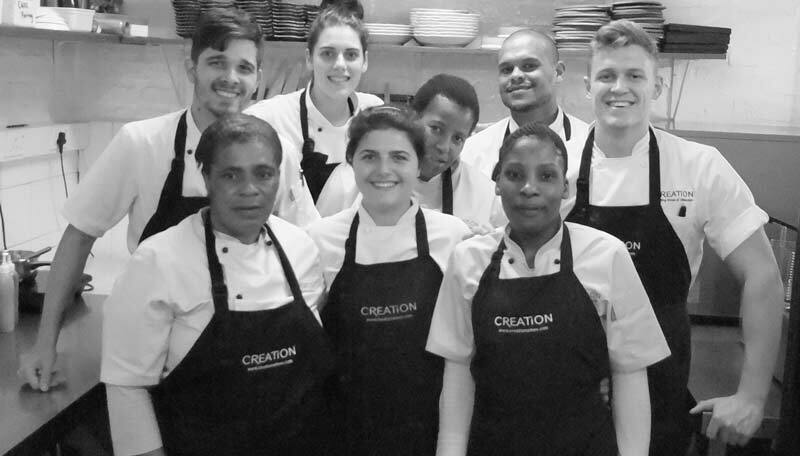 The spectacular team in the kitchen. Well Done and Thank you! 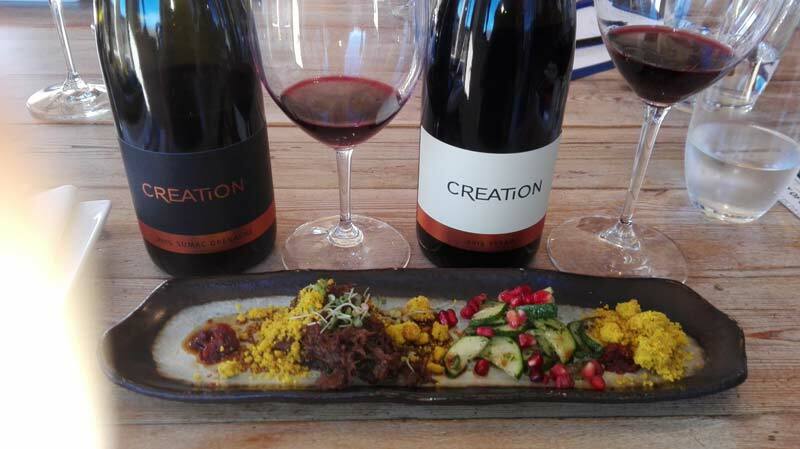 More links and articles on the Wine Pairing at Creation Wines. 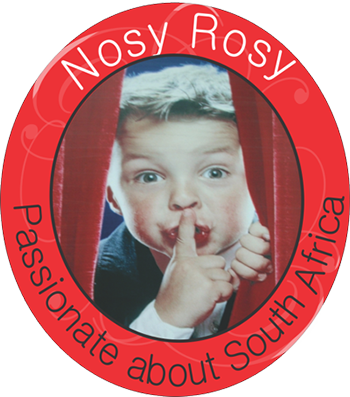 Find and follow Nosy Rosy and Creation Wines on as many Social Media Platforms as you participate in and share at least one post on each. The more the better. This will enter you and subscribe you to the once monthly Nosy Rosy newsletter. You have to be over 18 years of age to be able to redeem your prize. The cut off of both competitions are the first week of February 2018.